This roundish shaped bag is truly fun to carry around and it can rightly do justice to both ethnic as well as contemporary apparels. 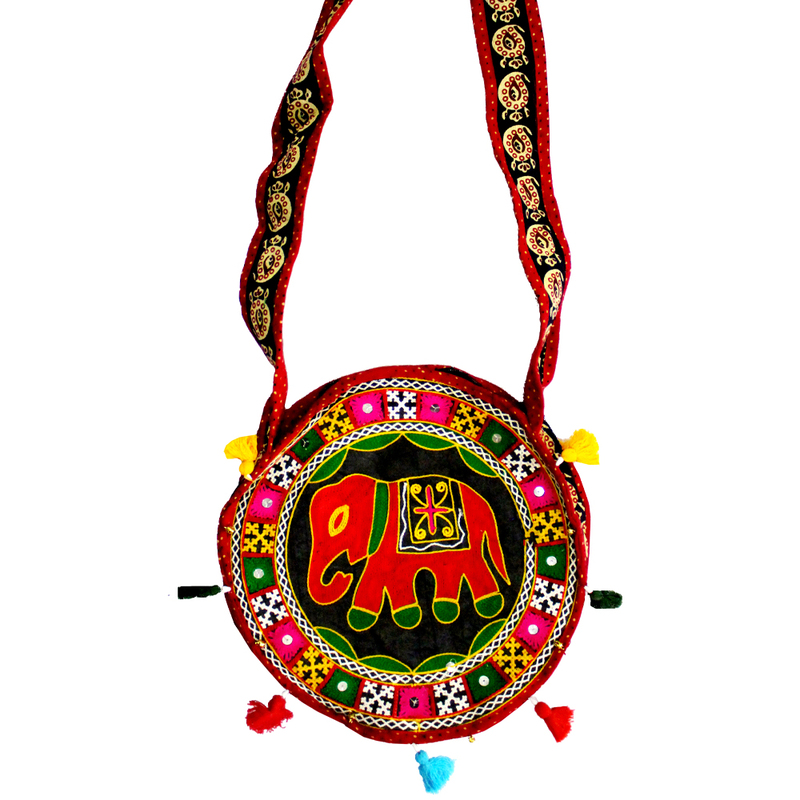 This Read More..red and green handcrafted circular bag is definitely a treasured piece to have in the closet. The dense embroidery work showcases the hard work put together Show Less..